Are you scared of being upside down and want to conquer your fear? Looking to improve the skills you have and get to where you want to be quicker? Then join Nirvana for a play filled 1.5 hr workshop with tonnes of simple tips and a strong alignment focus to build your body awareness and harness your yoga skills to be able to perform these stunning poses with ease. As you build confidence the fun will begin to emerge and the fear will melt away! We'll be working with partners and groups to support each others learning so this is the perfect workshop to bring your partner, friends and family to! Inversions bring a host of amazing benefits to the body both physically and metaphysically and are known as the 'king' of asanas. 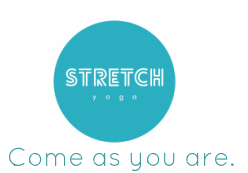 If you've felt unsure or scared before then let us help you to feel comfortable and safe performing these poses in the studio and in your self practice.